This is our second bout of what they are calling a winter storm in less than a week's time. All of the interstates are closed all through town and a bunch of bridges in addition. The kids are having a "snow day", yes I said snow day, here in Baton Rouge, LA. Lots of businesses are closed and the authorities are asking people to stay in their homes and off the roads. 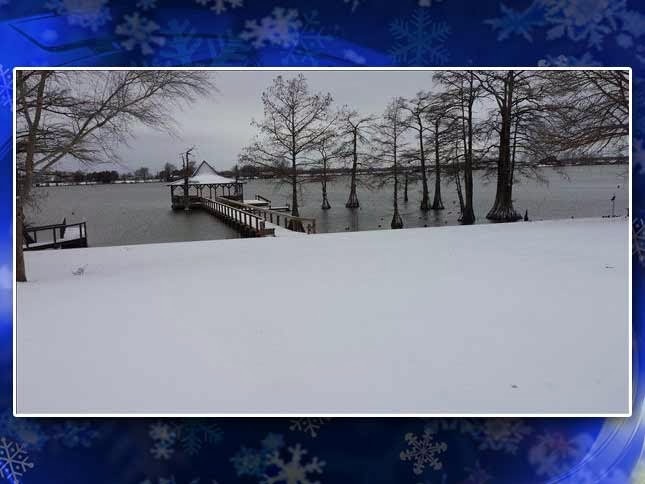 Check out the Snow Day Slideshow here: http://www.wafb.com/slideshow? 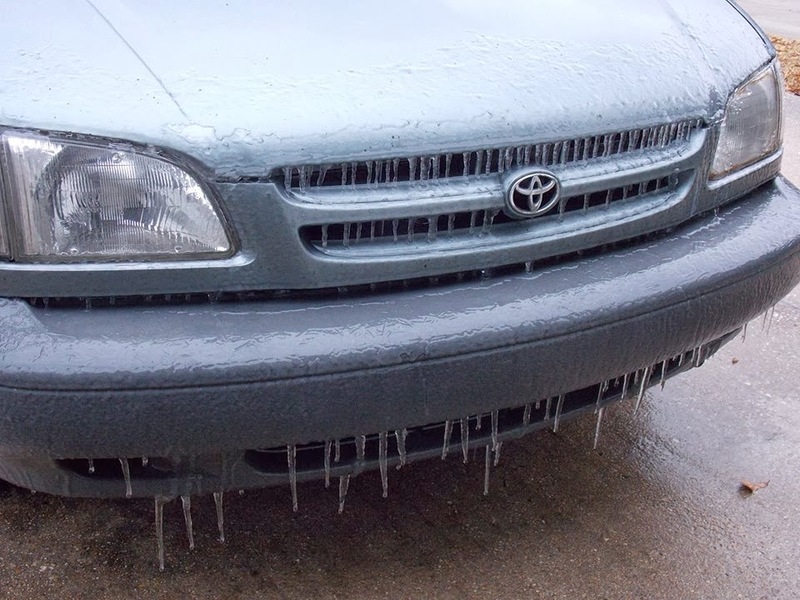 When I went to work on Friday, my car was literally one big icicle. There was at least a 1/4 inch sheet of ice covering the whole thing, and in some places, even more. I was out there with my driver's license chipping away at the ice after loosening it with my defroster. What a mess! I was fifteen minutes late for work after having to take four or five detours to avoid interstates and closed bridges. When Saturday and Sunday came, it didn't even feel like the same hemisphere. And then they said it was coming again. This week, I changed days and went in a day early so that I could stay home during the worst of it. It's supposed to be 18 or so tonight so all of the rain, sleet and snow should still be there tomorrow morning making the roads a dangerous place. A bunch of electrical workers (2100 I believe) are on standby for outages and such. So tomorrow Sneaux Day = Sew Day! Louisiana - where you can go from shorts and flip flops to ski parkas and back in less than a week - we're flexible that way! I can't believe it is already the 19th of January. Where did the rest of the month go? I've been sick off and on for the last 2 weeks and Mom was sick before that. She gave it to me. How sweet. I went through about a week of just blowing my nose and groaning and moving from the bed to the recliner to the bed. Then I was determined to be well, so I decided to get up, get dressed and act as if I was well in hopes that my body would take the hint. The first day was not too bad. I made it out to lunch and to the grocery store. Then I was back in the recliner recovering. I kept trying and I'm getting there a little every day. I have an appointment with the doctor tomorrow. Hopefully he'll have the magic cure! 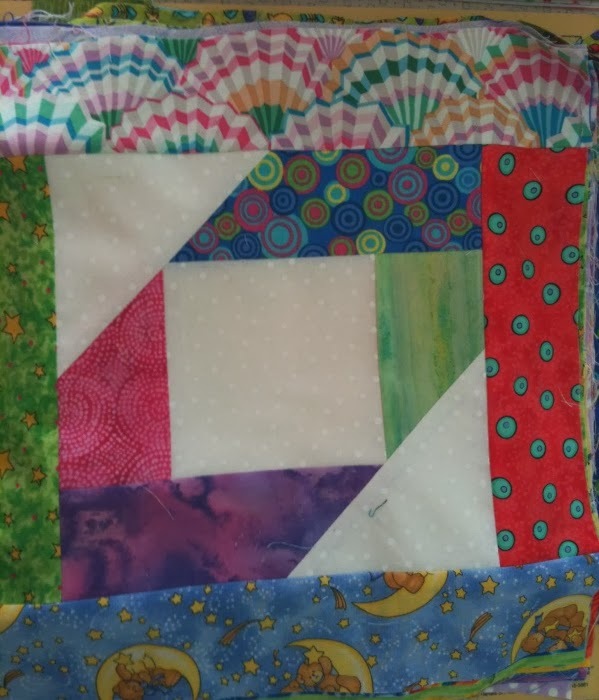 I was at a quilting retreat Monday through Wednesday of this last week. Those women were sure taking their lives in their hands, but they insisted that I should come anyway. We had some great fun and got some work done as well. I have nothing to show and tell, because I didn't really finish anything. I received a stack of "turnovers" from my secret pal a while back and I decided to get them out of my stash. I made 54 triangle blocks and got them laid out as far as where they will go, but I didn't get them sewn together. Then I started working on another Bonnie Hunter Pineapple Blossom. I have a whole drawer full of 2 1/2" strips so I spent most of the day sorting them out by color and deciding which would go in my quilt. Then I began cutting the strips to size. I got the first round and the triangles put on one day. The next day, I got the second round on but no triangles. That'll have to be for next time as well. 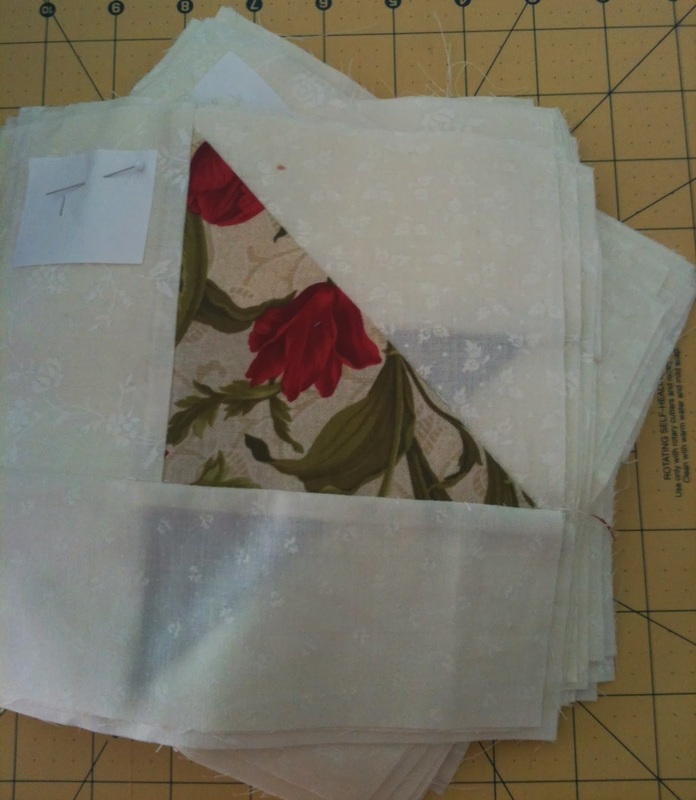 I guess that next retreat will be really productive for me, since I have most of the groundwork done for 2 quilts now. We have a group that meets each year for Superbowl Weekend. Four days of quilting, laughing, eating and football. Oh boy!